Despite the cyclone that hit Durban's shores this weekend, we braved the rain and wind - umbrellas in hand - to visit the amazing NWJ Bridal Show! 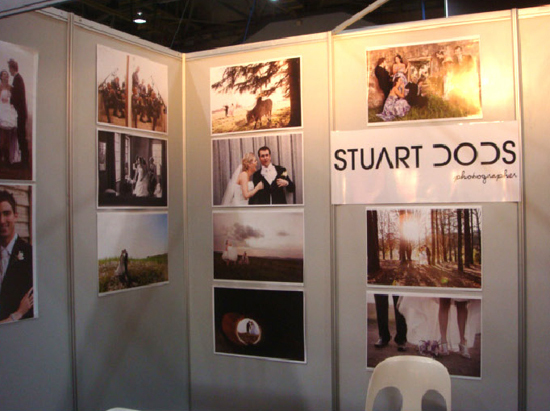 We browsed around the stands at the Bridal Show for hours, meeting lots of the vendors. Below are the stands we handpicked as our favourites!! This was the Ruby Team's favourite stall by far! 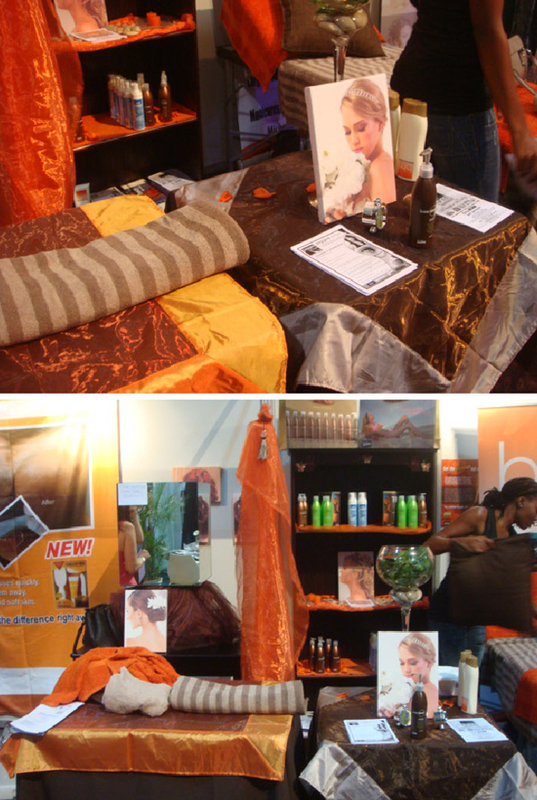 We absolutely adored their display, using Tangerine Tango (remember our post on it?) as their main colour. Talloula make sure that you have only the finest details at your wedding; this includes crystal glasses, white Tiffany chairs, an experienced wedding coordinator, and a decor specialist. Now that they are offering a new venue which opens in May Talloula has almost everything! The Talloula venue is a place where one can celebrate life, love and new beginnings. Watch this space for an interview with the Talloula team and a round-up of their beautiful new venue. We just loved this hanging leaf and chandelier display - its too beautiful! Absolutely perfect for a forest-themed wedding - so mystical! 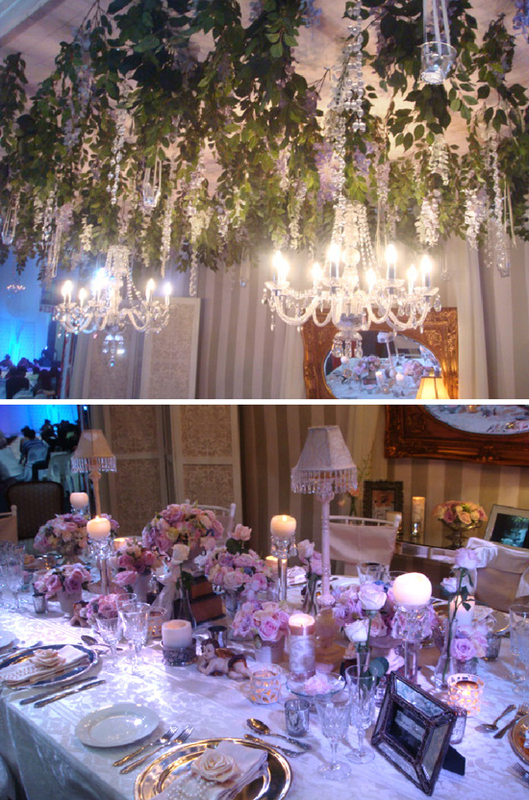 Designer Decor's entire display was so classic and outstanding - who wouldn't want their wedding to look like this?! 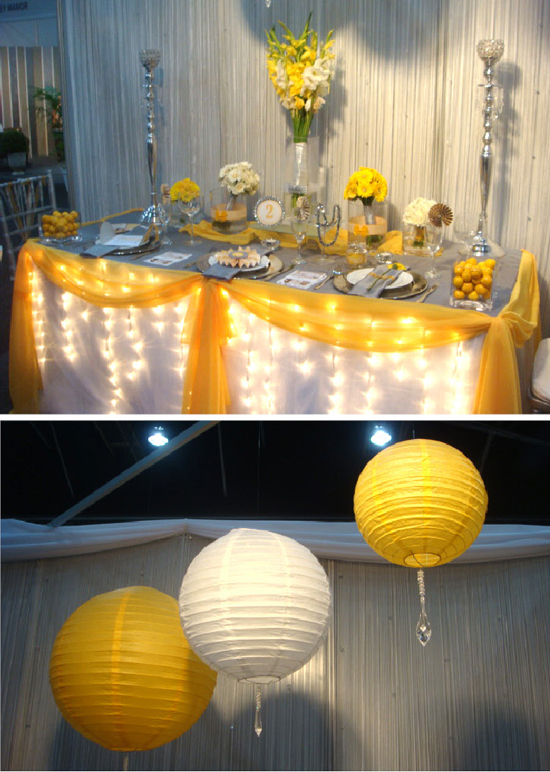 They do decor for weddings and functions, and provide excellent service and a lasting impression. Remember yesterday's post about yellow and grey weddings? 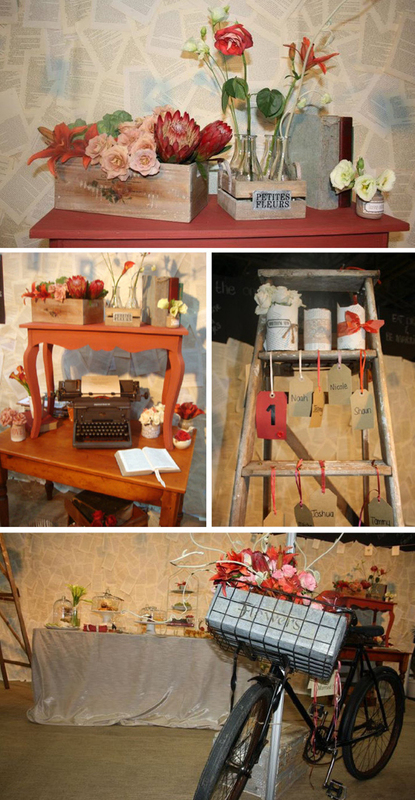 Well the lovely Lieze, who started A Wedding in a Box, based her entire display on that theme - how on trend are we? We just lurve the wedding invitation suite she had displayed - stunning and modern. They do wedding coordination, photography, flowers, invitations, decor, cakes and more. Contact Lieze Aspeling on 084 551 3732. Our favourite out of all the bridal wear stalls was Pink Chilly. Wow, did they have some to-die-for gowns!! With bridal wear, shoes and accessories, they hold the exclusive Jasmine range from the United States and are the only company in South Africa to stock it. They have the Jasmine collection as well as a divine Jasmine couture range; we could have picked three of four dresses each that we'd love for our own weddings one day! Pink Chilly has branches in Pretoria, East Rand, Fourways and Durban. The Durban branch is in Durban North on Umhlanga Rocks Drive. We have attended a baby shower where Beauty in Motion was there for the "pamper party" part - and wow, was it a treat! With a pedicure and a massage for only R140 per person, this mobile business is so worth using to host a pamper party at your home or business. Each person can receive two treatments each, and this is a fab idea for hens parties, baby showers or book clubs. What a stunning display that draws the eye! We can only assume that using this company to hire out everything you need for your wedding day will only make it that much more magical. 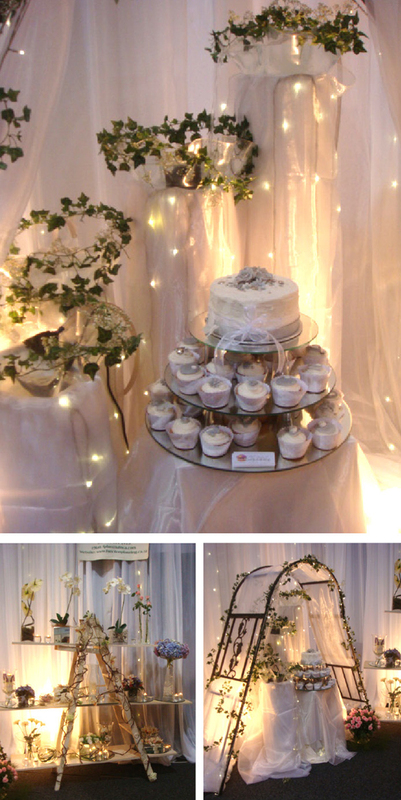 And besides, they have everything to hire: gazebos, table decorations, hall decor, chairs, serviettes, large umbrellas, tables, drape, pillars & arches, candles, cutlery & crockery, and vases. 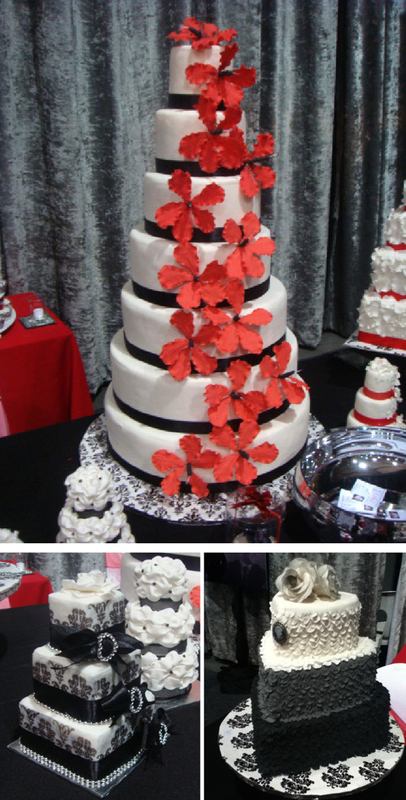 They create custom-made cakes and cupcakes for all occasions, and weddings are no exception! A special range of mini cakes is also available for weddings and other functions. Don't these cakes below just look beautiful? We are sad that we couldn't show more of his pics on this post - they are just too incredible! Stuart really has a great way of seeing people and taking portraits. Go onto his site for more of this beauty! PhotoBooth.inc: Fun in a flash! What a great idea: instead of wedding favours, hire a photobooth so that your guests can take pictures of themselves all night to take home! And with the booth comes a trunk full of fun props - what a blast! For weddings, barmitzvahs, birthday parties, events, exhibitions and corporate functions, this is a one of a kind experience that will add fun and excitement to your wedding. The awesome guys at PhotoBooth Inc. even let us have some fun of our own in the booth - check this out! Thank goodness for Kauai having it's own stall at the bridal show - it was one of the very few food stalls - luckily it treated Filipa well with a delicious muffin!! They showed off their awesome catering abilities with tasty platters - we are sure this impressed many brides, moms and bridesmaids looking to book snacks for their wedding or bridal shower. 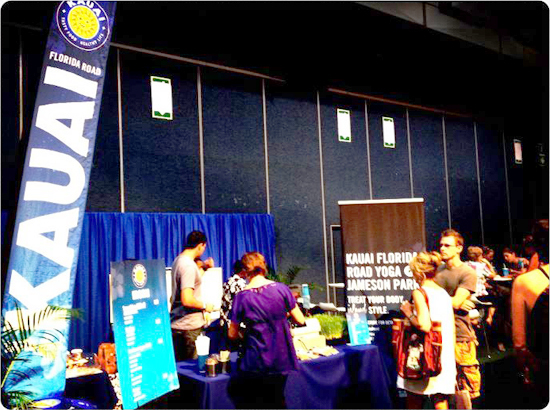 The focus of this year's Bridal Show was a happy and healthy bride-to-be - and Kauai was the perfect vendor in promoting healthy food and living. Lauren and Radlyn Paul won this amazing award, against eleven other couples. 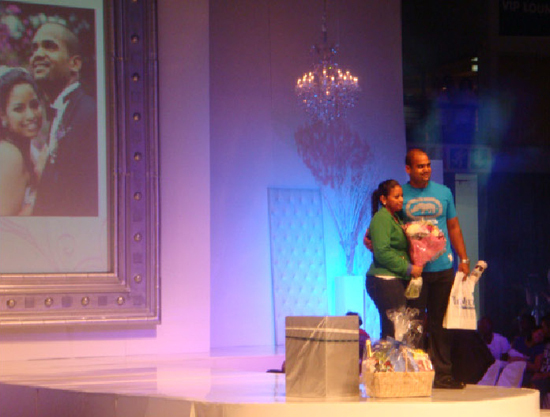 They won a R5000 voucher from NWJ Jewellers, a Krups Prep expert 8000 food processor sponsored by Illovo, a luxury hamper, flowers and a bottle of sparkling wine. And we were there to see them win - the look on their faces was so worth it! All photographs taken by Ruby & the Swallow Design Collective. Credit to PhotoBooth Inc. for the photo strip, and Kauai Florida Road for their photo.